Geothermal energy has several pros and cons which make it an ideal energy source for specific regions. Geothermal energy pros include a passive energy source, environmentally friendly, and low operating cost once setup. Some geothermal energy cons include high upfront cost, the requirement to be near a geothermal energy source, and the need for water or steam. Though fossil fuels have been the predominant form of energy for society for much of history, awareness about their scarcity and their associated environmental damage has motivated scientists and engineers to pursue alternate forms of energy. Geothermal energy is one form of alternative energy and it uses the energy within the Earth to create power and heat homes. The Earth is full of energy. Deep under the surface of the Earth, hot magma moves around creating thermal energy. If you have ever witnessed a geyser spew out hot water from deep underground, or seen images of a volcano, you’ve seen geothermal energy. Geothermal energy as an industry means finding ways to harness this energy and utilizing it to provide electricity to power our homes, office buildings, and factories. The closer you get to the Earth’s core, the higher the temperature becomes. The core of the Earth is around 7600°F (or 4200°C). While some of this magma is able to escape from the center of the earth and erupt from volcanoes as lava, most of the magma remains underground and heats up the rocks underneath the ground. The magma also heats up underground pockets of water, which creates geothermal reservoirs. There are various ways of tapping into these geothermal reservoirs and extracting geothermal energy for use. One of the methods of extracting geothermal energy is through geothermal power plants. These are facilities which are created to pipe the heated water up from underground, then they use this hot water and the steam it produces to generate electricity. Geothermal power plants use a variety of methods to produce electricity. The different types of geothermal power plants include binary cycle pants, flash steam plants, and dry steam plants. Binary cycle geothermal plants pass the hot water from geothermal work reservoirs through a heat exchanger, which takes the heat from the water and transfers it to an industrial fluid that has a lower boiling point. The heating of that industrial fluid creates steam, which turns turbines and produces electricity. Meanwhile, both flash steam plants and dry steam plants utilize the steam from the hot water in geothermal reservoirs to power turbines. Dry steam plants pipe the steam itself up in geothermal reservoirs, while flash steam plants draw up some of the water which then turns to steam. Other methods of harnessing geothermal energy include geothermal heat pumps and direct geothermal energy. In the case of direct geothermal energy, this means pumping up hot water directly from the geothermal reservoirs and running it through a heat exchanger to heat a building. This is only possible when a geothermal reservoir, like a hot spring, is near the Earth’s surface. A geothermal heat pump, by contrast, uses a system of pipes under a building to regulate a building’s temperature. The heat from warm water can be pulled out with a heat exchanger and used to heat a house or other buildings, while the process can be reversed in the summer and the building cooled thanks to the water running beneath it. Geothermal power plants offer up a host of benefits over other forms of energy, including fossil fuels. In general, they are a much more efficient and cleaner method of harnessing energy than burning fossil fuels. However, they also come with some drawbacks as well. Harnessing geothermal energy is a highly efficient process, which produces few to no emissions, and is extremely reliable and renewable. Unlike fossil fuels, which are of a finite quantity, geothermal energy is renewable. As long as the earth exists, there will be geothermal energy for us to use. This means that while some fossil fuels could potentially run out a few decades, geothermal energy will be a viable form of energy for billions of years to come. Using geothermal energy is extremely efficient. Because the heat energy can be drawn out of the water so easily, it can be used to produce electricity and heat houses with very little energy wasted. There are also few outside costs associated with geothermal energy, with no fuel being needed for the harnessing of geothermal energy from water as an example. Geothermal energy has the least environmental impact on any form of energy production. No emissions are released from the process of extracting thermal power from geothermal reservoirs, meaning that its carbon footprint is essentially zero. There may be a few emissions involved in the construction of a geothermal power plant. Using geothermal energy can save homeowners a significant amount of money. Heating and cooling houses with pipes can cut energy bills by between 25% to 60% every year, which is enough to offset the investment costs of a geothermal heating/cooling system in only a few years. Other forms of alternative energy, such as solar and wind power, are less stable and reliable than geothermal power. While wind can die down and the sun only shines for part of the day, geothermal power is reliable and constant, which makes them excellent ways to meet base energy demands. The biggest drawbacks of geothermal energy include high initial investment costs, the fact that it is only usable in certain regions, and that it can create geologic instability. Geothermal power in only viable in certain regions of the world where geothermal reservoirs exist. This is much like how sufficient deposits of gas and other fossil fuels only exist in certain regions. Those who are interested in using geothermal energy to cool and heat their houses will have to invest between $10,000 to $20,000 dollars. While the costs would pay themselves off in around 5-10 years, the startup cost can be prohibitively expensive. Geothermal power plants can create geologic instability. Hydraulic fracturing is a process used to obtain geothermal power, and it can cause earthquakes by altering the fundamental structure of the land the plant sits on. 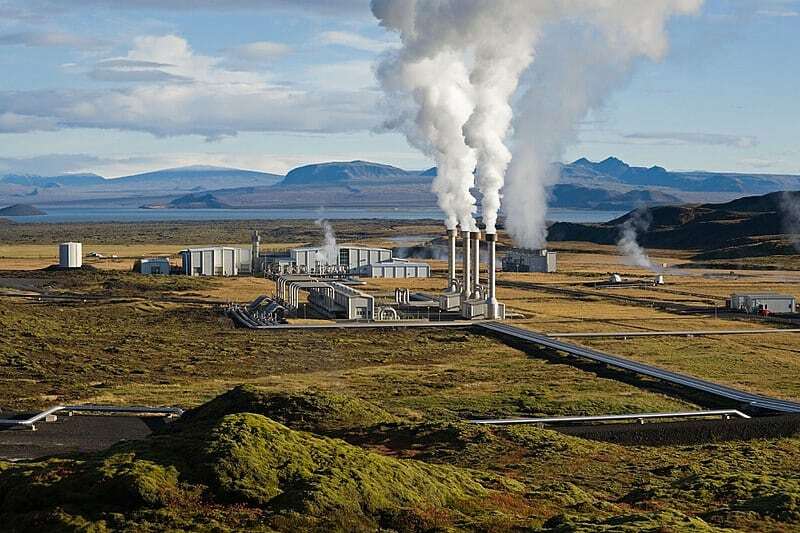 While geothermal energy doesn’t emit greenhouses gases, the processes involved with the creation of geothermal power plants can pollute the environment. 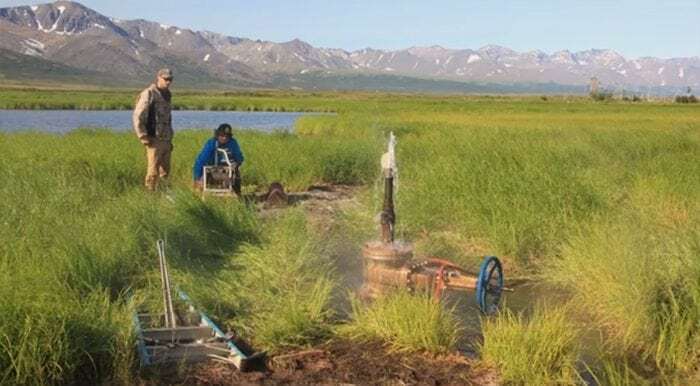 The process of digging geothermal wells often releases greenhouse gas into the atmosphere, and compounds like silica can be discharged during this process as well. Though geothermal power is typically considered a sustainable resource, overuse of geothermal reservoirs can deplete them. Geothermal reservoirs refill after rainwater penetrates into the ground, but in order for these reservoirs to be sustained, they must be carefully utilized so that the rate of use does not exceed the rate of replenishment. Geothermal power plants must carefully manage how they use geothermal reservoirs for them to be truly sustainable. Ultimately geothermal energy provides clean and renewable energy, but it is limited in use to regions with viable geothermal reservoirs.